Friend or Follow us for exclusive discounts. PLEASE SHOP ON OUR VASTLY NEWER SITE AT WWW.KAVA.COM INSTEAD OF HERE. IT'S WAY FASTER, WITH MANY MORE PRODUCTS AND FEATURES. THANK YOU! Directions: 1/8th tsp (145 mg kavalactones) twice daily. Daily dosage not to exceed 290 mg or 2 1/th teaspoon servings per day. Maximum period of daily use: 3 months. Use may resume for 3 months after a 2-week break. Caution: If using prescription medications, seek the advice of a health care professional before using this product. Not to be taken during pregnancy or if breastfeeding. Not for use by persons under the age of 18 years or with alcoholic beverages. Keep out of reach of children. Used in excess or with substances that induce drowsiness, the ability to operate heavy equipment or a vehicle may be impaired. Not recommended for use by individuals with an existing liver condition or those at risk of developing one. US FDA advises that although it appears to be rare, a potential risk of severe liver injury may be associated with kava-containing dietary supplements. *These statements have not been evaluated by the Food and Drug Administration. This product is not intended to cure, treat, diagnose, or prevent any disease. Kavalactone 55% Paste (1oz) is the 1 oz Kavalatone 55% Paste. This kava paste is also one of our all-times favorites and is stronger than our Kavalactone 55% Paste! Directions: One spoonful of the included dosing spoon of 1/8th teaspoon, twice daily. Maximum period of daily use: 3 months. Use may resume for 3 months after a 2-week break. Full Spectrum 55% Kava Paste (1 oz) The 1oz FULL SPECTRUM 55% Kavalactone Paste. Kavalactone 33% Powder (1/2oz) Naturally promotes relaxation and helps ease the body and mind from daily stress. 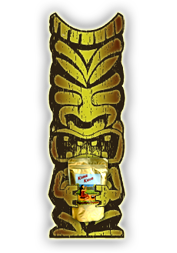 * This all-new 33% Kava Powder is a new favorite here. For an ultra-pure extract, this silky powder is made with super-critical CO2 cold extraction technology using only the roots of kava. Please note that is a 33% concentration of a 2-4-6 Kavalactone lineup. The high concentration means you only need to take 1/4 teaspoon per serving. This ultra-smooth Kavalactone 33% Powder comes in a small white tub, with a 1/8th teaspoon dosing spoon for an accurate dose of Kavalactone every time. We take great pride in care in this product as it's the exact same product that's offered in our Kavalactone 30% Capsules. Except it's one lovely container full, ready for use in anything you can think of. Our favorite way to take it? - Simply scoop it in your mouth, put it under your tongue, and feel the numbing sensation start almost immediately. Directions: Take 1/4 teaspoon twice daily. Each 1/4 teaspoon provides 145 mg of Kavalactone. Daily dosage not to exceed 290 mg. Maximum period of daily use: 3 months. Use may resume for 3 months after a 2-week break. *These statements have not been evaluated by the Food and Drug Administration. This product is not intended to cure, treat, diagnose or prevent any disease. KavaLOVEtone - Capsules (60) After extensive research, utilizing a combination of science and alchemy to create an alternative for the 84% Kavalactone Liquigels that are not presently available, we came up with this exceptional product, made with several of the purest extracts from some of the most relaxing botanicals available. This herbal combination promotes a pleasant repose that lasts much longer than expected* and has quickly become a Top Seller. These capsules contain extracts of kava (145mg kavalctone/capsule) kava, damiana, valerian, calamus root, horny goat weed, and full spectrum powders of St. John’s wort. KavaLOVEtone - Capsules (120) After extensive research, utilizing a combination of science and alchemy to create an alternative for the 84% Kavalactone Liquigels that are not presently available, we came up with this exceptional product, made with several of the purest extracts from some of the most relaxing botanicals available. This herbal combination promotes a pleasant repose that lasts much longer than expected* and has quickly become a Top Seller.